On September 14th, hundreds of students, researchers, and game developers flocked to Ohio University to talk about video games—more specifically, the future of Ohio's growing game development industry. 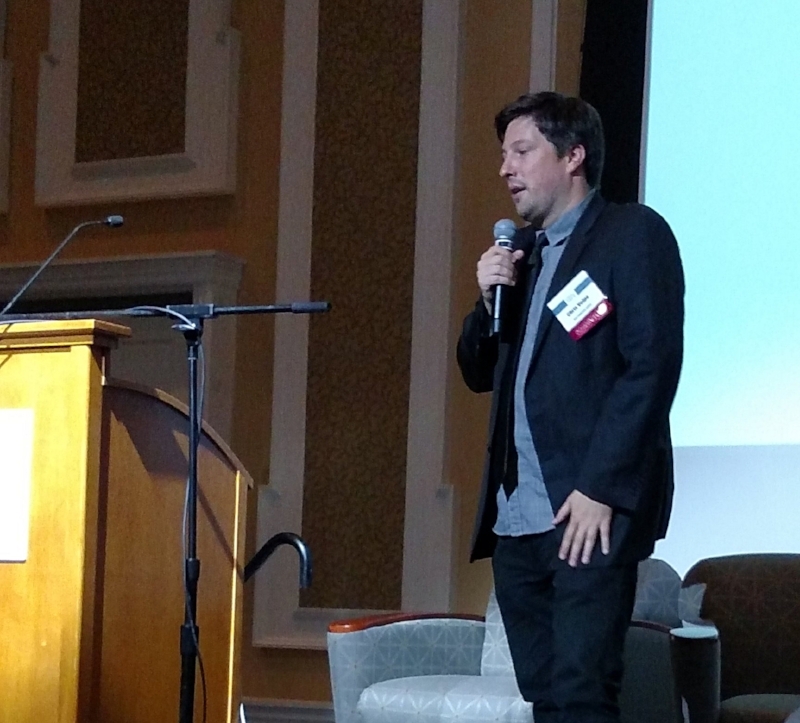 Multivarious CEO Chris Volpe kicked off the festivities with a talk titled "Community to Industry: The State of the Ohio Game Industry." Citing the Business of Games Summit, GDEX 2017, and the Central Ohio Gamedev Group as evidence that the keys to Ohio's potential as a game development hub are already in hand. The following eight hours were packed with discussion panels on everything from the game development process to the representation of women within the game industry. The evening came to a close with a reception at Ohio University's Game Research and Immersive Design (GRID) Lab, which won recognition from members of the press and medical practitioners alike for its recent creation of a virtual reality trauma ward training experience. Of course, the Business of Games Summit wasn't all work and no play. Fired up by one of the early game development panels, I decided to put together a little impromptu game jam after the Multivarious crew found an assignment sheet for an Ohio University freshman course crumpled up in one of the chairs outside of Baker Auditorium. Noticing a couple of typographical quirks, we took the concept and ran with it. The result? A regrettably short, but very cute, hyperlinked story.